by Evan J. Mandery. New York: W.W. Norton and Company, 2013. 534 pp. Cloth $29.95. ISBN 978-0-393-23958-4. 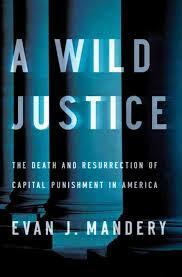 Author's Response by Evan J. Mandery to the recent review of A WILD JUSTICE. For the sake of the historical record, just a short note regarding Mary Welek Atwell’s generous review of my book, A WILD JUSTICE: Justice’s Brennan’s dream of forming a majority in FURMAN is a matter of historical record, not a writer’s imagination. In Brennan’s clerks’ history of the 1971 term, they write that when Justice Marshall delivered to Brennan a copy of his opinion against capital punishment shortly before oral argument, it was “the first we had heard that he might be on our side” and that “we began to have real hope.” (emphasis mine) Similarly, the statement that Stewart was torn between his heart and mind comes directly from his clerks. Copyright 2014 by the author, Evan J. Mandery.